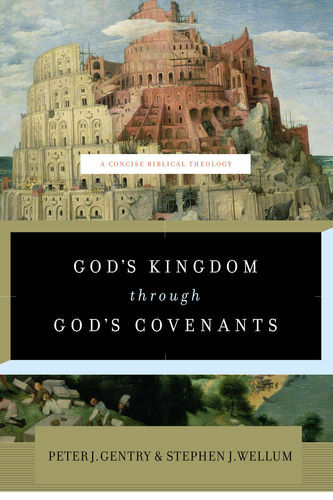 In the opening pages of their “concise biblical theology,” God’s Kingdom through God’s Covenants (GKTGC), Stephen Wellum and Peter Gentry lay out a description of typology that is worth considering. In what follows, I’ve synthesized their discussion into ten axioms. All of the quotations are from GKTGC; the references to other authors are found in their discussion (pp. 38–43). I’ve also taken the liberty comment and expand their thoughts in a few places. 1. Typology is not allegory. 3. With regards to ontology, typology is prophetic and predictive. 4. With regards to epistemology, typology requires later revelation and may be retrospectively observed. Because types symbolize later persons, events, and institutions, it necessary that their presence be identified retrospectively. “Simultaneously, then, Scripture says that the gospel was promised beforehand and was clearly revealed through the prophets (e.g., Rom. 3:21), while it was hidden in ages past and not fully known until the coming of Christ (e.g., Rom. 1625–27)” (40). So, “not only does typology require careful discernment; it also requires the passing of time in order to determine how the ‘type’ is fulfilled in the coming of Christ” (40, emphasis mine). 5. Typology requires a high view of Scripture and belief that God works actively in history. Typology is not a discipline restricted to biblical studies. Students of literature also study typology (see Erich Auerbach’s Mimesis or Northrop Frye’s The Great Code). One crucial difference, however, is that literary typology is purely retrospective. Later writers, steeped in the traditions of Shakespeare or Scripture, “recycle” previous words, concepts, or storylines. To be sure, there is some of this happening in the Bible, but there is more. Biblical typology sees Old Testament persons, events, and institutions as divinely-molded shadows that take their form from the later, greater substance (Christ). Thus, Wellum and Gentry write, “This is not to say that everyone associated with the Old Testament type understood and knew the pattern to be point forward. Rather, it is to say that when the type is discovered to be a type (at some point along the trajectory of its repeated pattern), it is then viewed as such and a God-intended” (40). This approach, therefore, requires a high view of Scripture and belief that God is divinely ordaining types in preparation for the coming of his Son. Put baldly, “All types first find their fulfillment in Christ before they have application to us” (40). Because all Scripture is Christ-oriented (John 5:39), all creation is made for him (Colossians 1:16), and all things in heaven and earth find their telos in him (Ephesians 1:10), it is (nearly) axiomatic that every God-given shadow in the Old Testament finds its substance in Christ. This may raise questions about negative types (e.g., Babel, Babylon), but I don’t think that counter-example overturns the point, for even these anti-Christ(ian) types are photo-negatives that take their shape in opposition to Christ. Wellum and Gentry don’t use this term, which I take from Richard Hays, but they make the point when they say, “Since types find their fulfillment in Christ and not in us, we as God’s people participate in the typological pattern only by virtue of our relationship withe Christ” (41). Participation in Christ not only brings salvation; it brings typological formation—meaning that Christ is the true fulfillment of every type (#6) and all who are in him (Jew or Gentile) experience by covenantal union with Christ the typological patterns typed out in the Old Testament and fulfilled in the New. As Wellum and Gentry put it, “We, as the church, are not the antitypical fulfillment of Israel in the first sense; Christ alone fulfills that role. Yet in union with Christ, we are the beneficiaries of his work,” (41) and thus the church can be called “adopted sons” (Gal. 3:26–4:7), the “Israel of God” (6:16), a “royal priesthood” (1 Peter 2:9), and a bevy of other terms first given to Israel. In this way, typology does not end with Christ; it is transmuted and transferred to those in Christ. It is, in a word, ecclesiotelic. Simply put, “the antitype is always greater than the previous types” (41). This is evident in countless examples: Christ is a greater Son than Adam, a greater prophet than Moses, a greater priest than Aaron, a greater king than David, etc. This escalation is sometimes seen in the Old Testament, as Solomon exceeds David in glory and Elisha “out-miracles” Elijah in prophetic power. But certainly in Christ, his fulfillment transcends anyone or anything that has gone before him. Additionally, it might be worth considering how this pattern of escalation continues into the church, when Jesus’ exalted to glory empowers his disciples to do greater works than himself (see John 14:12). 9. Typology requires and causes discontinuity. While typology presupposes continuity between type and antitype, it also causes discontinuity. Wellum and Gentry write, “When fulfillment arrives, legitimate discontinuity between old and new in God’s unified plan is established. When the antitype arrives in history, or better, when it is inaugurated, not only are the previous types brought to their telos but the entire era introduced entails massive changes” (42). This truth coincides with Richard Davidson’s understanding that typology is, by necessity, eschatological. And when the end of the ages have been inaugurated, as Paul says of the church in 1 Corinthians 10:11, it is because all that was hidden is now revealed (1 Corinthians 2:7), and all that was promised has been fulfilled in Christ (2 Corinthians 1:20). Thus, typology both requires and causes irreversible change in redemptive history. Accordingly, when the antitype comes the people of God can no longer (rightly) live under the old covenant, with its types and shadows. Much of the New Testament, especially Hebrews, addresses is written to address this problem. Finally, because typology is Christ-centered, it is also covenantal. That is to say, in the New Testament Christ’s person and work are defined by the new covenant he inaugurates in his death and administers in his resurrected life. Because this new covenant was promised as the solution to the older covenants, we also find a typological nature to the covenants—or, to say it differently, like everything else in the Scripture, the covenants too are marked by progressive revelation and textual, historical typology. Wellum and Gentry observe, “In scripture, typology and covenants are intimately related” (42). “One cannot properly think of them [the covenants] apart from wrestling with how the covenants relate to each other and how the covenants as a whole point forward to the coming of Christ and the new covenant age. In this way, all of biblical history is prophetic, not merely in terms of verbal predictions but in types/patterns associated with the covenants, which anticipate and predict the dawning of the end of the ages in the coming of Christ” (43). In short, typology fits hand-and-glove with biblical covenants, such that types work out the details of the covenants and the covenants themselves function typologically. To be sure, more could be said about typology, but these ten axioms are a healthy starting place for understanding the contours of biblical typology. Moreover, they are foundational for the progressive covenantalism found in God’s Kingdom through God’s Covenants. More on that another day.